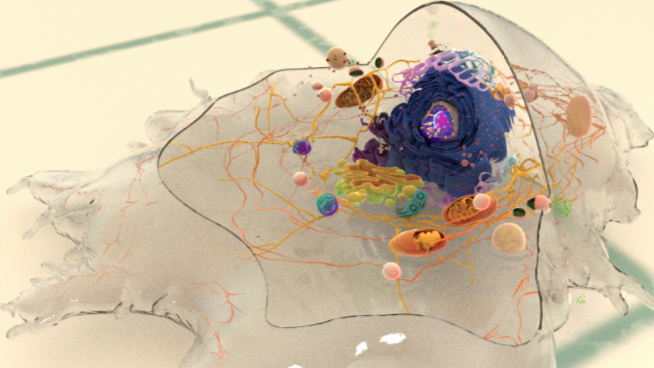 Mature FAs vary in size between 1 to 5 µm and to date, more than 80 types of proteins (~150 proteins) have been located in the FA plaque  although not all interactions have been proven in vivo. 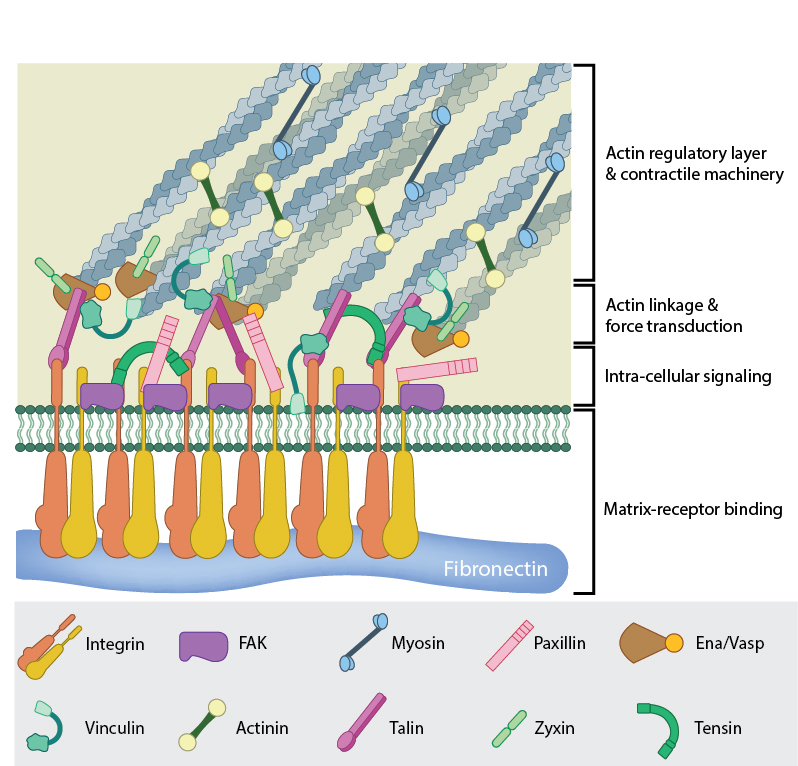 Several key components are shown to be organized into functional layers covering a distance of approximately 40 nm between the ECM-bound integrins and the actin cytoskeleton . Amongst the FA components, the presence of zyxin and low levels of tensin distinguish mature focal adhesions from their earlier counterparts. These proteins are recruited through tyrosine phosphorylation events, with zyxin continually increasing in concentration during the tension-dependent maturation process (, reviewed in ). Zyxin also gets redistributed to stress fibers, thickens it and regulates adhesion reinforcement .